Home Tags Posts tagged with "chemicals"
Keeping water in your swimming pool in a perfect condition is extremely important, especially if the pool is used by kids. If you have a swimming pool in your garden, it is necessary to get reliable pool chemicals. What Products Should You Choose From? 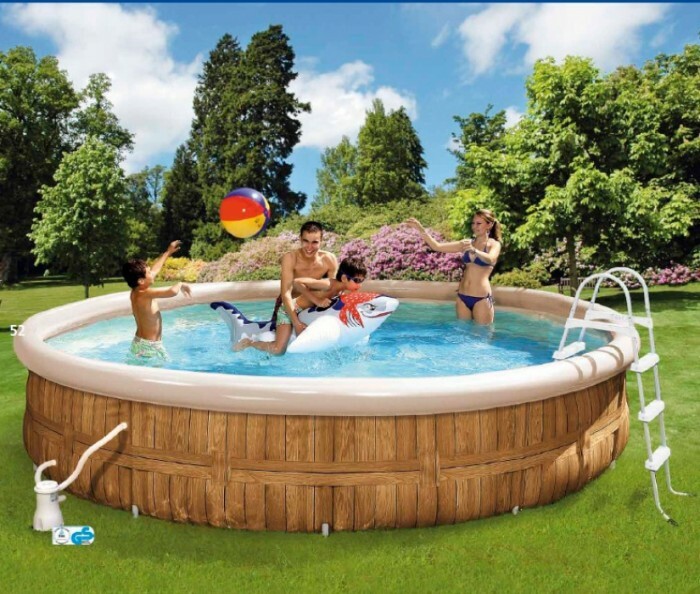 In the area of ​​swimming pool chemicals, you can choose from several categories. For example, the chemicals based on active chlorine are very effective for water sanitation, and you can even choose from different products and purification tablets. However, this option is not suitable for kids or people sensitive to the increased chlorine content. Fortunately, there are also chlorine free chemicals which contain active oxygen and they are very effective, too. Further, there is also the combined chemistry available. 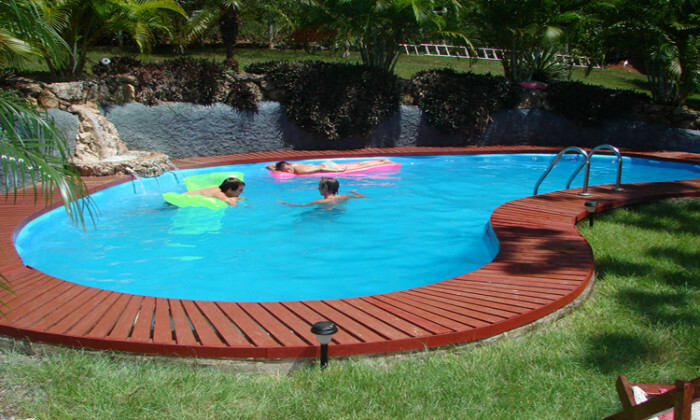 In this area you will find many effective products which guarantee a good quality of water in your swimming pool. For example, the disinfectant tablets do not only sanitize water, but also cause flaking of dirt in cloudy water and killing the algae. So as you can see, there is currently a wide range of very effective products of pool chemistry available which allow you to swim in your swimming pool without health risks. The pH of water in a pool should be between 6.8 and 7.4 (max. 7.6). You should monitor the value by pH testers, as if it is out of this range, the water is too acidic, or vice versa, too alkaline. Potential solutions include the agents for increasing or decreasing the water pH. And naturally, it is appropriate to use water hardness stabilizers, too; you will not have problems with sediments and turbidity then. In summer, the owners of swimming pools are excited about the chance of jumping into the crystal clear water and having a swim every day. However, it is necessary to do some work to have good quality water for a good aquatic relaxation. First of all, it is important to acquire a high quality filtration and to carry out thorough vacuuming of any debris on the bottom and the walls of the pool. Neither you may neglect the chemical maintenance which must be performed throughout the whole swimming season. Otherwise, you could have a green marsh instead of pure water in your swimming pool! The water must be treated periodically by the swimming pool chemicals. Branded products are hygienically and medically tested, so they are effective as well as harmless. You should avoid unknown or unauthorized products that appear in some stores, and never trust any “guaranteed” home-made products! They can cause skin allergies, irritation of mucous membranes or even permanent health problems. What Should You Use To Treat A Pool Properly And Safely? What If The Water Is Cloudy? This problem occurs after winter, as well as during summer. A brightening agent can be a solution, or you can filter until the water is clear again. What If The Water Turned Green? This happens when you neglect the regular and preventive care. An appropriate remedy is the combination of shock chlorination and an anti-algae agent. However, if the water is too green, use a flocculant – an agent, which precipitates the algae and dirt and they fall down to the bottom of the pool. Then you simply remove them with a special vacuum. What If No Chemistry Works? Chemical products may fail especially if a pool has a poor filtration. In this case, it is necessary to drain the water, clean the swimming pool and then re-fill it. And this is problematic especially for pools with a foil instead of ceramic tiles. The water pressure helps to keep the foil taut, so this could cause its detachment or even a mechanical damage. The regular table salt (NaCl) can be helpful, too – simply salt the pool well. A simple apparatus for electrolysis of salt can completely replace the use of chlorine. And moreover, you get rid of the unpleasant chlorine odour, you protect your eyes and your mucous membranes from irritation and allergic reactions. Furthermore, the water treated in this manner has antiseptic properties. The covering of the pool is important, too. While the pool is in operation, the water surface has to be protected against the dirt from the air and from the surroundings. The combination of a summer and winter tarp can retain heat, as well as prevent the propagation of algae. Automatic rolling shutters are the more expensive option. You simply turn a key ones and the shutter spreads over the entire water surface, thus preventing the contamination and spoilage of the swimming pool water.